These instruments are available now! If you would like to play any of them please contact me for an appointment. Instruments with rosewood may require a CITIES export certificate if shipped outside the EU. All the instruments here would be granted the certificate. A 2018 8 course amplified Renaissance lute with a string length of 600mm. 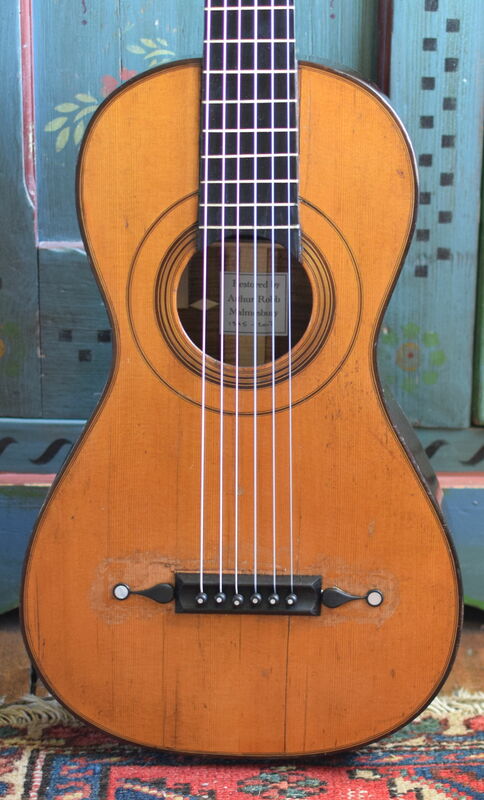 It is tuned to g and is strung with Kürschner strings. 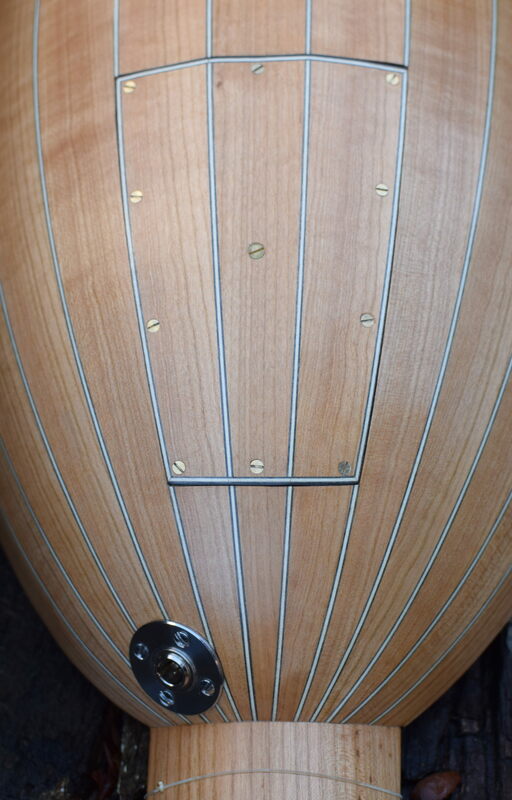 The 13 rib body is English cherry, the fingerboard and soundboard edging are African blackwood (CITES certified), the neck English cherry, the bridge Swiss pear and the pegs Gloucestershire plum. The soundboard is Swiss pine (picea abies). 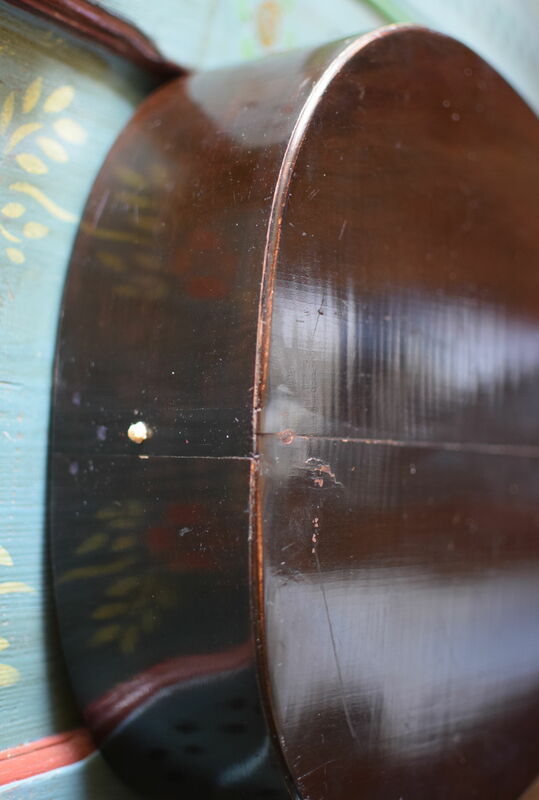 This lute is amplified by an internal microphone. A very high quality lapel microphone, the DPA 4061 is fitted inside. Small and powerful, it amplifies sound very accurately and is widely used on stage, television and the music industry to amplify both instruments and voice. 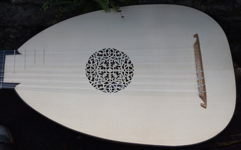 The lute looks, plays and feels like an ordinary lute as the added equipment weighs very little, about 40 grams. 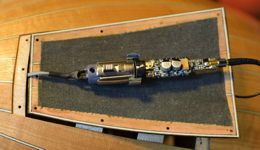 Access for fitting the microphone and pre-amplifier is through the hatch cut in the body and a small mini-XLR socket for the output signal. The lute plays easily with excellent tone and projection. 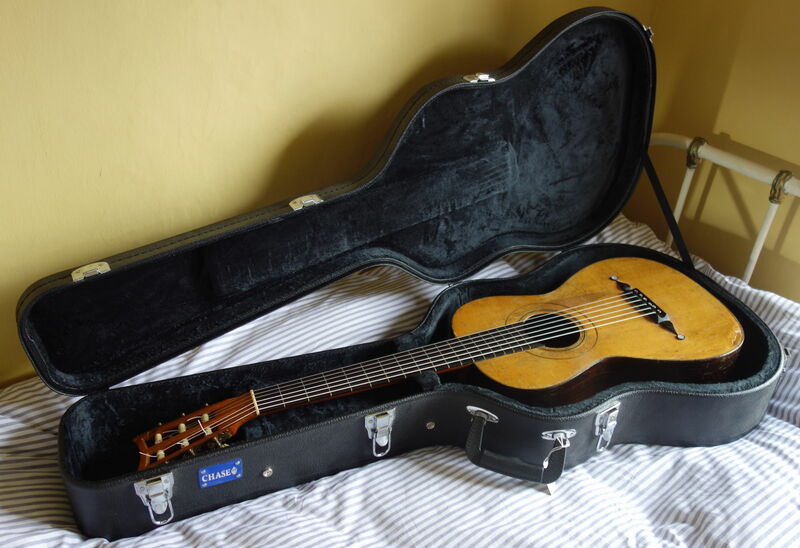 Price of £3500 includes a new Kingham (made to measure) case. It can be shipped worldwide. A lute player wishing to use an amplified lute will need to know a bit about amplification and the associated jargon. 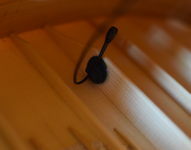 The DPA 4061 microphone fitted inside the lute is a very sophisticated little microphone measuring about 4x8mm. 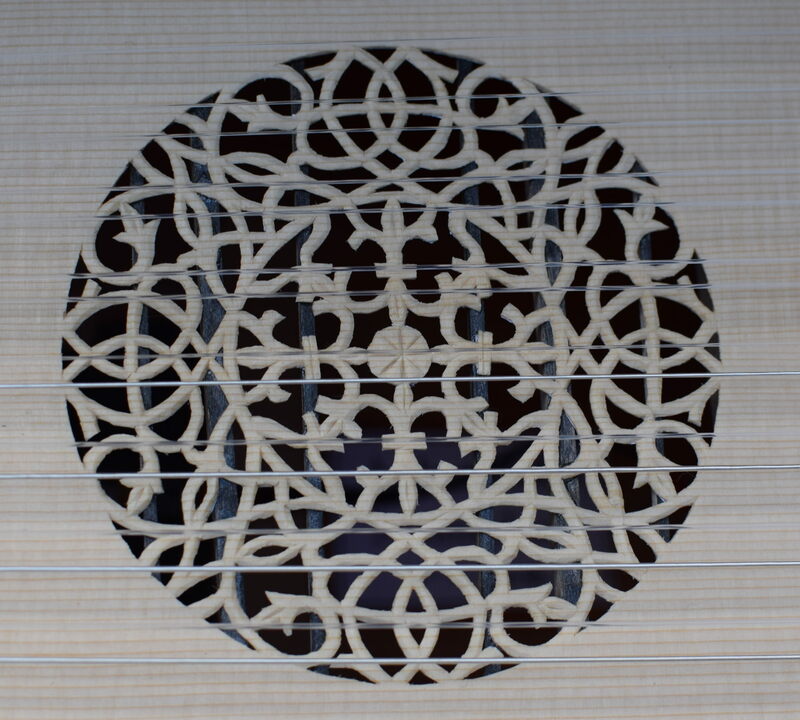 It is attached inside the lute using a holder supplied by DPA. The microphone is connected a DPA electric circuit board which is attached inside the hatch. Everything is accessible for servicing. The microphone and circuit board require a small amount of electricity to work. This is know as the 'Phantom Voltage'. Some mixing desks and pre-amps provide this. It can also come from small electric devices found on the internet. The socket on the lute is 'mini-XLR' which will probably need to be connected to an amplifier that uses XLR input. Thus the lead required has mini-XLR at one end an XLR at the other. The lute comes with one of these leads. 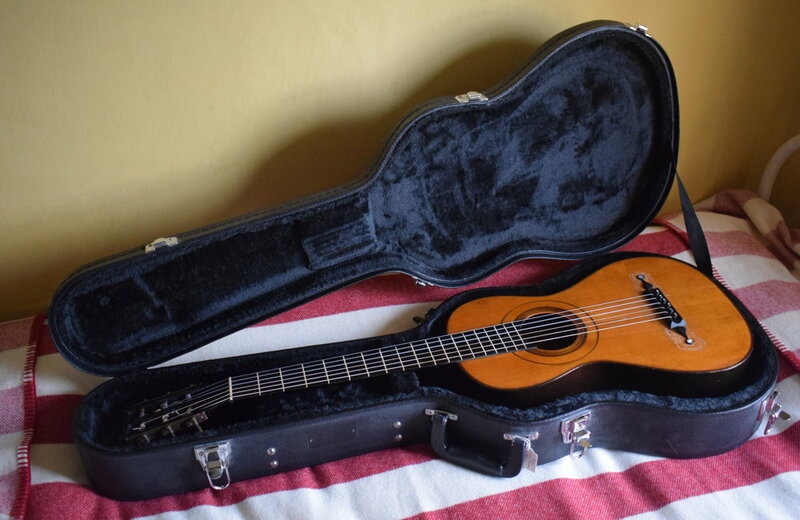 A 2013 8 course Renaissance lute, never owned, with a string length of 600mm. 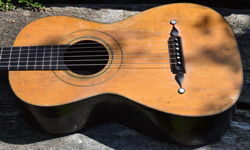 It is tuned to g and is strung with Kürschner strings. The 13 rib body is English figured sycamore, the fingerboard and soundboard edging are Indian rosewood, the neck, English cherry, the bridge Swiss pear and the pegs Gloucestershire plum. The soundboard is Swiss pine (picea abies). Price of £2500 includes a new blue Kingham (made to measure) case. It can be shipped worldwide. A 10 course lute by Henry Holmes of Sheffield tuned to f sharp and strung with Kürschner strings. 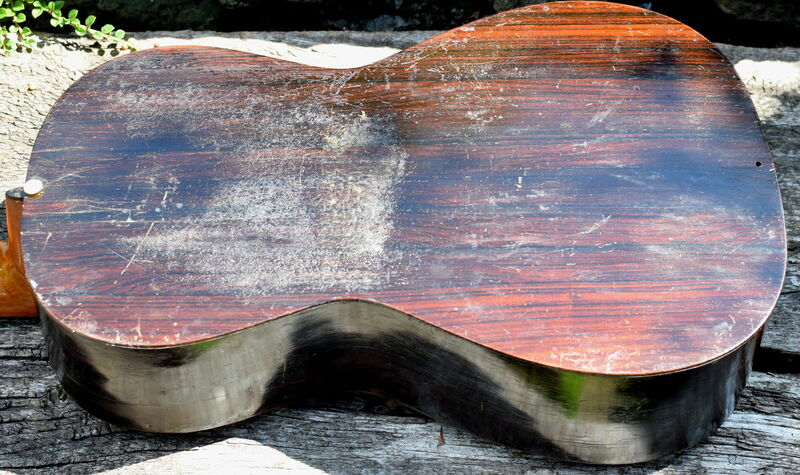 It has 11 beautiful ribs and the neck is veneered with the same wood. Though it predates much of the authenticity learned in the 70's, it is still a very serviceable lute. The first owner was Anthony Bailes. Price of £900 includes a sturdy (and heavy) wooden case. It can be shipped worldwide. 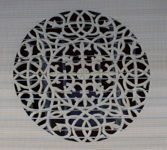 Recently restored in my workshop, this is a lovely example of a Panormo Fecit with ivory frets. This 193 year old guitar has been recently restored. New high quality Rubner tuning machines are fitted as the originals were beyond repair. Strung with Aquila Alabastro (Nylgut) strings, the tone is full full and vibrant, astonishing for such a little old guitar. It fits neatly into a 3/4 size acoustic guitar case and can be shipped worldwide. 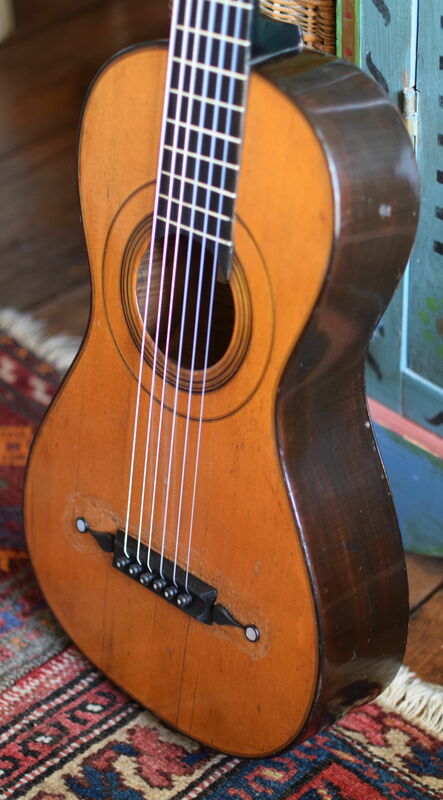 A 179 year old Louis Panormo guitar recently restored in my workshop is now for sale. The price includes a good quality wooden case and the guitar can be shipped worldwide. 2005 10 Course Lute by Arthur Robb - in Washington, D.C.
1978 10 course Lute by Fleeson- in Stroud, Glos.